The USDA recommended allowance is only set at the level the body can tolerate over the counter supplements without getting diarrhea and barely enough to keep away infectious disease! The current USDA recommended level for Vitamin C is 75mg - 90mg. "A tolerable upper limit (UL) of vitamin C was set at 2 grams (2,000 mgs) for the first time in the year 2000, referencing this mild laxative effect as the ONLY reason for establishing the UL." When higher levels of Vitamin C are consumed it turns into a “healing therapy”. You need high doses to stay healthy. You need massive doses when stressed or sick. Your body doesn’t store it. Your body doesn’t make it. You don’t get enough of it in your diet. Your body needs to be replenished multiple times daily. Your body needs more than the USDA recommended allowance. … Drs. Stone and Pauling calculated, based on the diet of primates... that the optimum daily requirement of vitamin C is around 2,300 milligrams for a human. Pauling criticized the established US Recommended Daily Allowance, pointing out that it is based on the known quantities that will prevent acute scurvy but is not necessarily the dosage for optimal health. …the doses required to achieve blood, tissue and body "saturation" are much larger than previously believed. VITAMIN C DEFICIENCY CAN CAUSE DEATH! "…when there is not a single outward symptom of trouble, a person may be in a state of vitamin C deficiency more dangerous than scurvy itself. When such a condition is not detected, and continues uncorrected, the teeth and bones will be damaged, and what may be even more serious, the blood stream is weakened to the point where it can no longer resist or fight infections not so easily cured as scurvy. It is true that without these infinitesimal amounts myriads of body processes would deteriorate and even come to a fatal halt. Vitamin C is a cofactor in at least eight enzymatic (large molecules responsible for thousands of chemical interconversions that sustain life. Reactions including collagen, which supports tendons, ligaments and skin, and is also abundant in cornea, cartilage, bone, blood vessels, the gut, and intervertebral disc. … there are many tissues that maintain vitamin C concentrations far higher than in blood. Biological tissues that accumulate over 100 times the level in blood plasma of vitamin C are the adrenal glands, pituitary, thymus, corpus luteum, and retina. Those with 10 to 50 times the concentration present in blood plasma include the brain, spleen, lung, testicle, lymph nodes, liver, thyroid, small intestinal mucosa, leukocytes, pancreas, kidney and salivary glands. Vitamin C is a vital antioxidant molecule in the brain. However, it also has a number of other important functions, participating as a co-factor in several enzyme reactions. The highest concentrations of ascorbate in the body are found in the brain and neuroendocrine tissues such as adrenal, although the brain is the most difficult organ to deplete of ascorbate. Neurodegenerative diseases typically involve high levels of oxidative stress and thus ascorbate has been posited to have potential therapeutic roles against ischemic stroke, Alzheimer's disease, Parkinson's disease and Huntingdon's disease. The functions of ascorbate in the CNS and brain are numerous. Essentially effecting neurotransmitters, dopamine and glutamate (learning and memory transmitters) cholinergic receptor (addictions). Release hormones in response to stress and affect kidney function. Controls how the body uses energy, makes protein and regulates metabolism. The adrenal glands and the thyroid gland are the organs that have the greatest blood supply per gram of tissue. This may be one of the reasons lung cancer commonly metastasizes to the adrenals. Secretes nine hormones that regulate homeostasis that regulates PH, glucose, body temperature and the regulation of many bodily systems. Educates T-Cells which are critical to the immune system. Currently there are several studies showing promise in treating advanced pancreatic cancer with Vitamin C. The risk of pancreatic cancer declined significantly as intake of antioxidants increased among participants in a large case-control study. 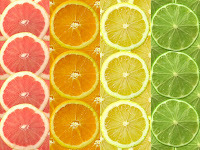 The magnitude of risk reduction varied by the quantity and types of antioxidants but reached a maximum of 67% in people who had the greatest intake of vitamins C and E and selenium. 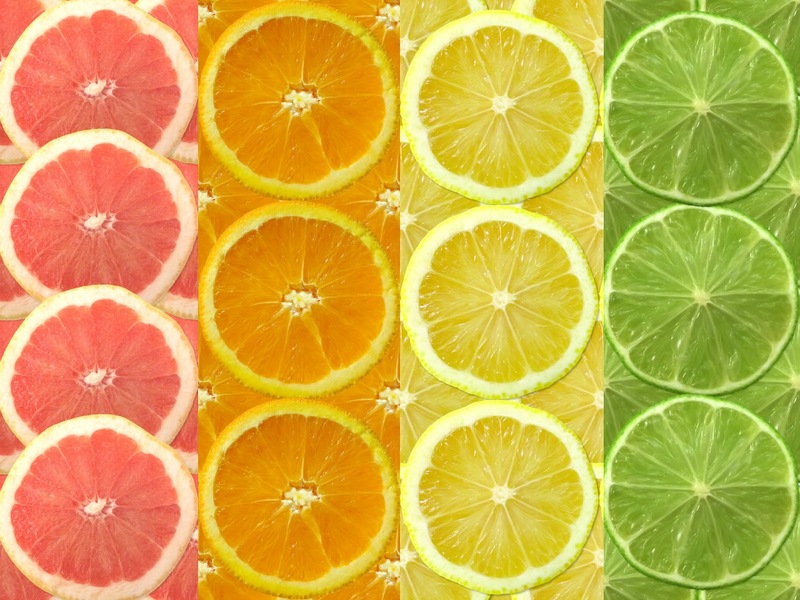 Vitamin C and E supplementation saw a decrease in the elements that cause fibrosis, leading to considerably reduced glomerulosclerosis and kidney fibrosis. “A new study by Dr. Levine and colleagues was published in the Canadian Medical Association Journal in March 2006. In this study, the investigators carefully reviewed the clinical cases of three patients who responded especially favorably to high-dose intravenous vitamin C in an attempt to assess the clinical plausibility of this modality in cancer therapy. To accomplish this, the investigators followed the National Cancer Institute Best Case Series guidelines in their analysis. One case involved renal cancer with lung metastases that regressed following the intravenous administration of 65 grams of vitamin C twice per week for ten months. The second patient had invasive bladder cancer. He received 30 grams of vitamin C intravenously twice per week for three months, followed by somewhat irregular infusions for about four years. The third patient had B-cell lymphoma and received 15 grams of intravenous vitamin C twice per week for two months, followed by similar doses given less frequently. All three patients experienced complete remissions. The most common form of skin cancer, basal cell carcinoma, often responds to a remarkably simple, safe, at-home treatment: vitamin C. Physicians and patients report that vitamin C, applied directly to basal cell skin cancers, causes them to scab over and drop off. We can get suitable amount of Vitamin C through proper Diet. Answer: No you can’t. Did you realize that most fruits and vegtables have lost their vitamin and nutrient levels by 50% and more over the last 50 years? The USDA only recommends a dose for adults of 75mg-90mg. Answer: This limit was only established because higher doses of pills and powder caused diarrhea. Not that the body couldn’t benefit from higher doses. “Dr. Mehmet C. Oz and Dr. Michael F. Roizen, co-authors of "You: The Owner's Manual", recommend a higher dosage.” Shoot for 1200 milligrams of vitamin C a day--spread between your diet and supplements throughout the day." It's all about the "delivery process to the body". What is liposomal? It is the process of binding 100% Pure Vitamin C Powder with a binding agent called Lecithin. "The hydrophilic nature of the lecithin molecule plays an important part in the structure and properties of cell membranes. It is the lipid used in nerve tissue." This process allows the body to immediately absorb the Vitamin C into the body before it reaches the intestines and is eliminated out of the body through urine. You can take as much as you need with no diarrhea, can't overdose and is non toxic! You can make this at home for pennies per dose! You can buy commerically made Liposomal Vitamin C on the internet, but it can be quite expensive. We recommend you make it yourself at home - cheaply! Check out the link above for the recipe. The amount of ascorbic acid taken… when a person is ill sometimes is over ten times the amount he would tolerate if well. This…indicates the unsuspected and astonishing magnitude of the potential use that the body has for ascorbate under stressful conditions. Optimal dosage depends on you. Your health level, your stress level, weight, smoking, etc. In my opinion based on the research provided 2,000 mg – 6,000 mg is optimal while you are healthy. But if you get sick you may need 10x’s this amount. “In the Nurses' Health Study, premenopausal women with a family history of breast cancer who consumed an average of 205 mg/day of vitamin C from foods had a 63% lower risk of breast cancer than those who consumed an average of 70 mg/day”. More recent research suggests that vitamin C supplementation may be a useful addition to standard H. pylori eradication therapy in reducing the risk of gastric cancer. Decreased vitamin C levels in the lens of the eye have been associated with increased severity of cataracts in humans. Some, but not all, studies have observed increased dietary vitamin C intake and increased blood levels of vitamin C to be associated with decreased risk of cataracts. In general, those studies that have found a relationship suggest that vitamin C intake may have to be higher than 300 mg/day for a number of years before a protective effect can be detected. The current USDA recommended levels (75mg -90mg) is just low enough to keep away Scurvy. When recommending higher doses they found that it caused diarrhea. The true healing affects don’t kick in until doses are at least 500 – 1500 mgs a day. You can’t get that high amount through over the counter supplements, diet, pills or powders. claims for its benefits seem too many"
In a study first published in 2008, for the first time, using a special liposomal form of oral-dose vitamin C, researchers in Britain demonstrated it is possible to achieve cancer-killing concentrations of this vitamin without undesirable side effects. This study was completely overlooked by the cancer community. The study was published in a journal cataloged by the National Library of Medicine (NLM), but articles from that journal can NOT be accessed at the NLM website. The report was submitted for publication, then the publisher of the journal changed editors and the new editor tried to scratch the report from its publication schedule. When the report finally got published, the journal itself was discontinued and its articles were no longer indexed by NLM. This is how good science is hidden from the public! It appears to be an intentional effort to hide the benefits of vitamin C for cancer patients. By the way, an (online) abstract is provided at the Journal of Nutritional and Environmental Medicine website. The material contained herein is for information purposes only. Nothing in this website is intended to be for medical diagnosis or treatment. In no way it will take the place of a consultation with a physician or competent health care professional for medical diagnosis and/or treatment; or serve as an endorsement for any medical practice, physician, product or medical device. There can't be given any guarantee for the accuracy or completeness of the information on this web site. Nothing on the blogs constitutes medical advice. If you are sick, please consult a professional doctor. But be warned that most doctors are unaware of the benefits listed here. Print them and share with your doctor.